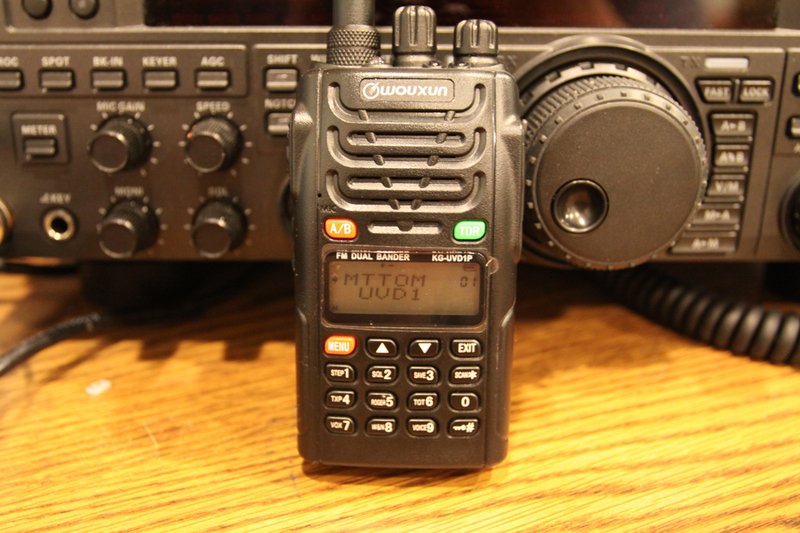 Okay, enough of UHF/GMRS antennas. Now it’s time to step it up (just a little bit) and fabricate a bigger antenna. 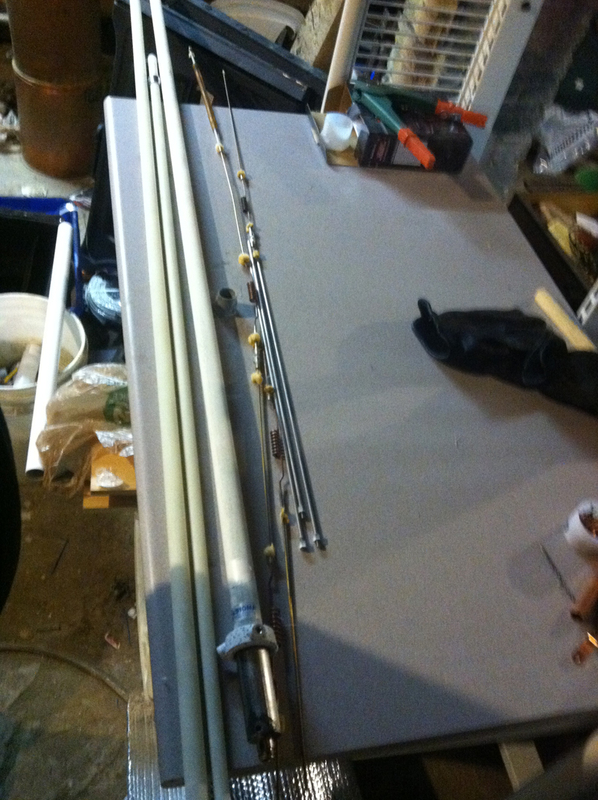 Due to material, I decided on a 5 element Yagi built for VHF since all I would have to buy is more 3/8″ round stock. I’ve taken what I learned from the GMRS Yagi and applying it to the design and fabrication of this VHF Antenna. 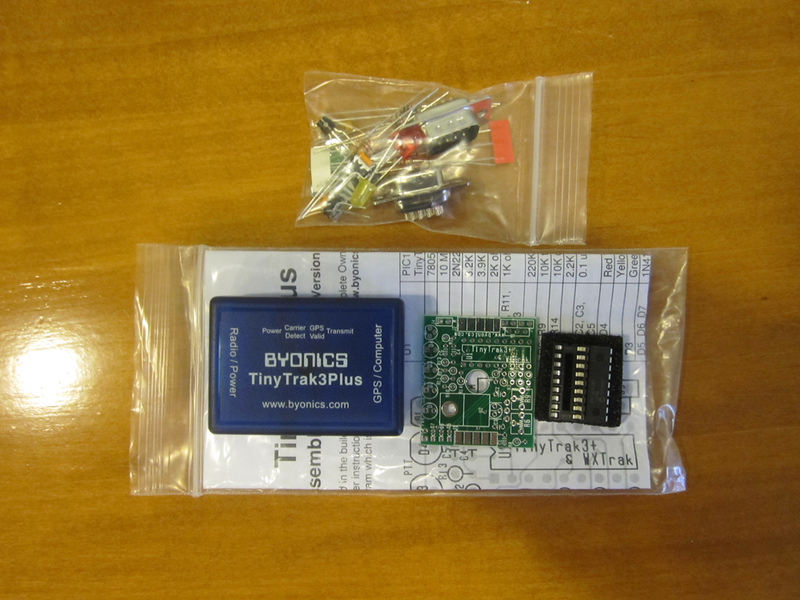 I am writing this article in a way in which I hope newer hams can understand, build and learn about antennas. So please excuse if I go into details about things that you consider simple and “common sense”. In order to design a Yagi we have to learn what a Yagi is. 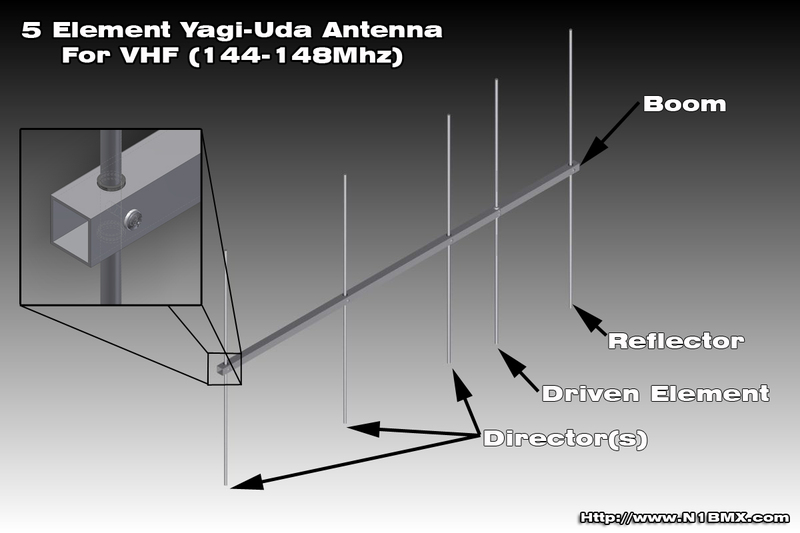 A Yagi is a Directional antenna made of up elements. The 3 Major parts which make a yagi are the driven element, reflector and director. When cut and placed at a calculated distance (On a Boom), the elements will cause the RF (Power) to be sent (radiated) or received in whichever direction the antenna is pointing to. In the radio world this is a great because you can basically “Focus” the power and direct it in the direction you want. Whereas a Vertical (Omni-Directional) radiates its energy in a 360 degree pattern (think of throwing a rock in a still lake and watch the ripple pattern in the water.) which will send out your signal “everywhere” but will dissipate quicker. 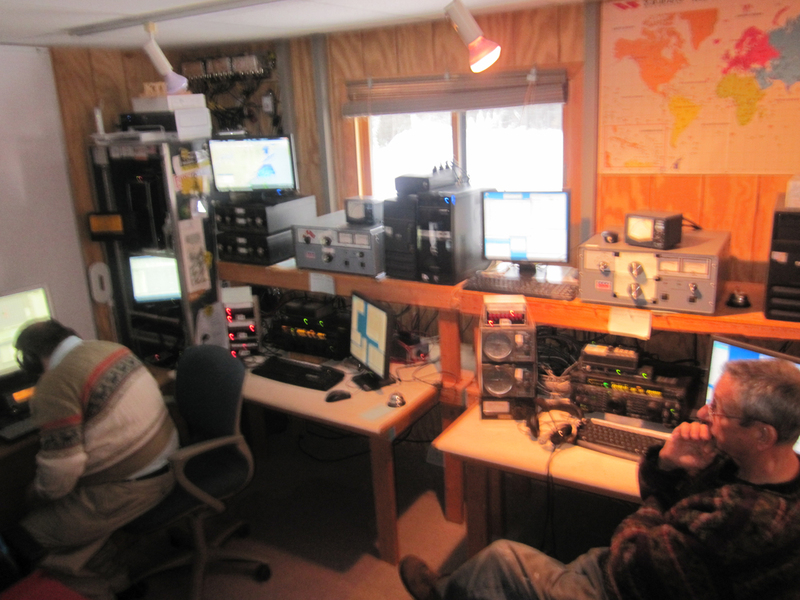 On the lower frequencies (HF), a Yagi would be the antenna of choice by Hams. Well then how come every ham doesn’t have a Yagi (on HF)? 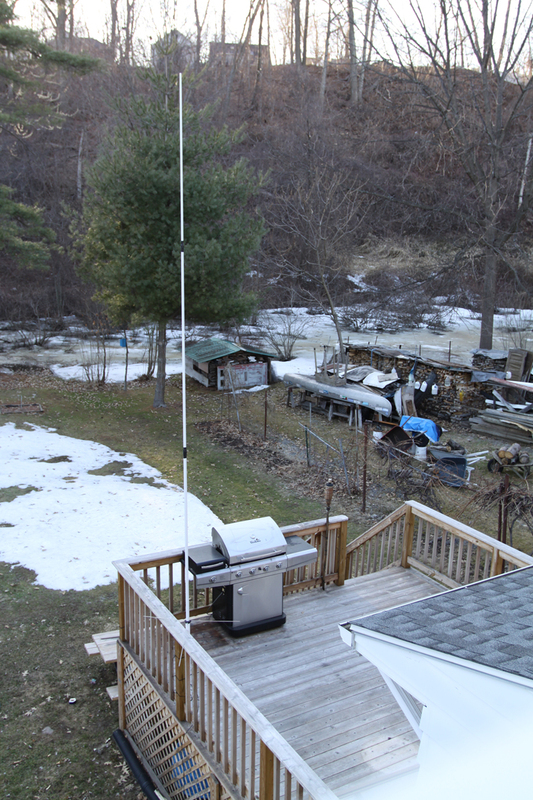 There is a couple of down sides to having a Yagi or Beam antenna (on HF). First off, HF Yagis are huge. 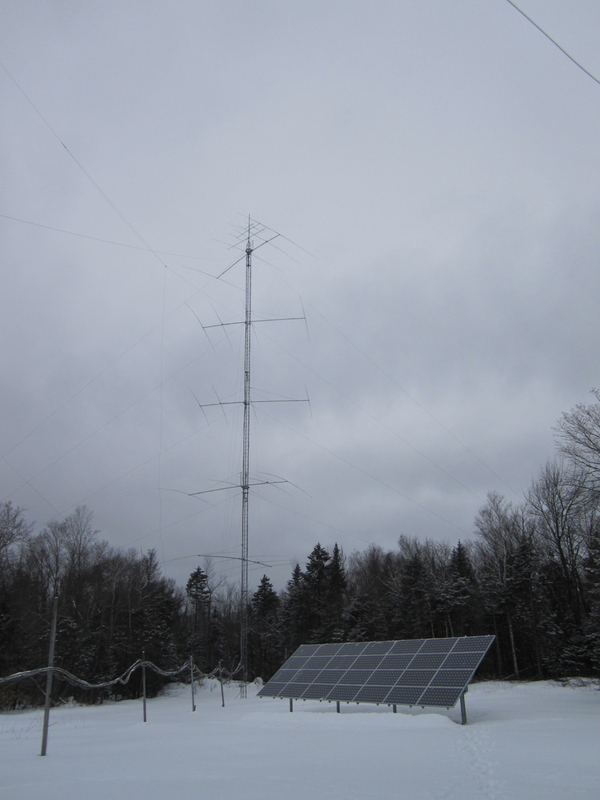 In order to use a Yagi/Beam to it’s fullest you would have to install an antenna tower/mast and rotor. HF Yagis are expensive and so is the tower and rotor, so the parts alone could add up to couple thousand dollars. I’ve seen cases where someone moved or is SK (Passed on) and sold their equipment cheap. There are also several other factors that would steer someone away from a Yagi. Those factors could be age, housing restrictions, living in an apartment, permits, handicap, property size, neighbors, and more stuff than I list. However the Yagi I’m building does not take much space and could be transported to be used in events where I am portable. Yagi’s come in many different sizes depending on the frequency and the efficiency of the antenna. The lower the frequency, the larger the antenna. The higher the frequency, the smaller at antenna. The length of the antenna will vary depending on how much efficiency/gain you want. Increasing the length (boom) and adding more director elements will increase the gain/efficiency of the antenna. On the Yagi that I am building, the design is based on the length of the (boom) antenna rather than the gain. So you want to build a Yagi. To start off your going to have to know what material your going to be using. Most Yagi antennas are built using Aluminum since it’s light and is a great conductor (Well, compared to steel/stainless). There are many different types of aluminum and I would say that 6061-T6 Aluminum would be the best choice for antenna building. 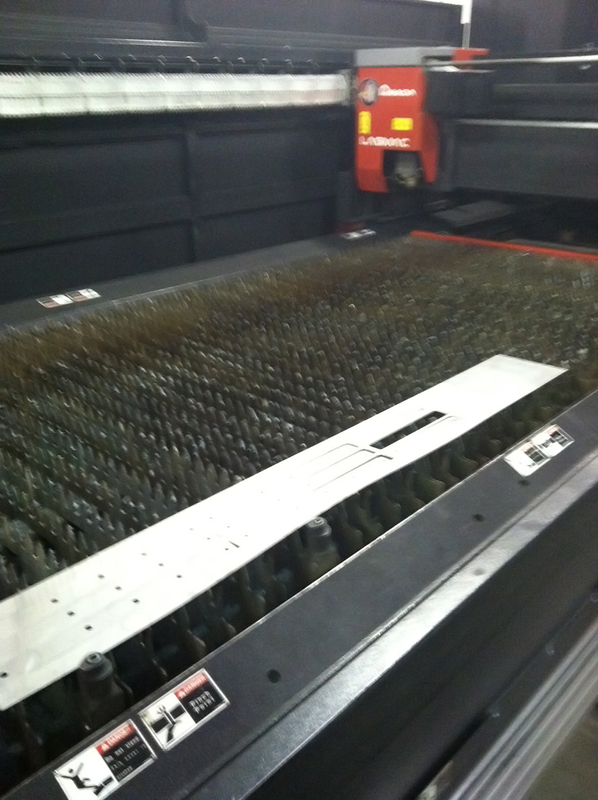 The reason is that 6061-T6 is more weather durable and easier to work with compared to other aluminums. The downside of 6061-T6 is when it comes to bending. 6061-T6 tends to crack when bending using a tight radius. 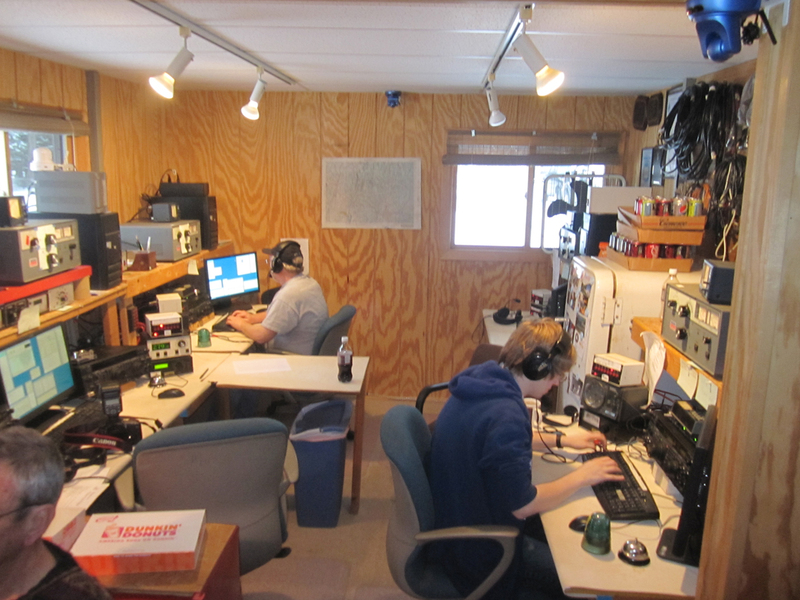 Since we’re not bending anything on the yagi we’re building then It won’t matter. If it comes to other designs of yagis that use a Hairpin or folded dipole then I would take the type of aluminum into consideration. Okay, we’re using Aluminum. What’s next? Now we need to figure the sizes of the material we’re going to use. This all depends on personal preference. For HF Yagis, you’re going to need Tubing ranging from 2″, telescoping in diameter down to 1/2″ because the antenna is going to be big and will need to support the weight of the elements. 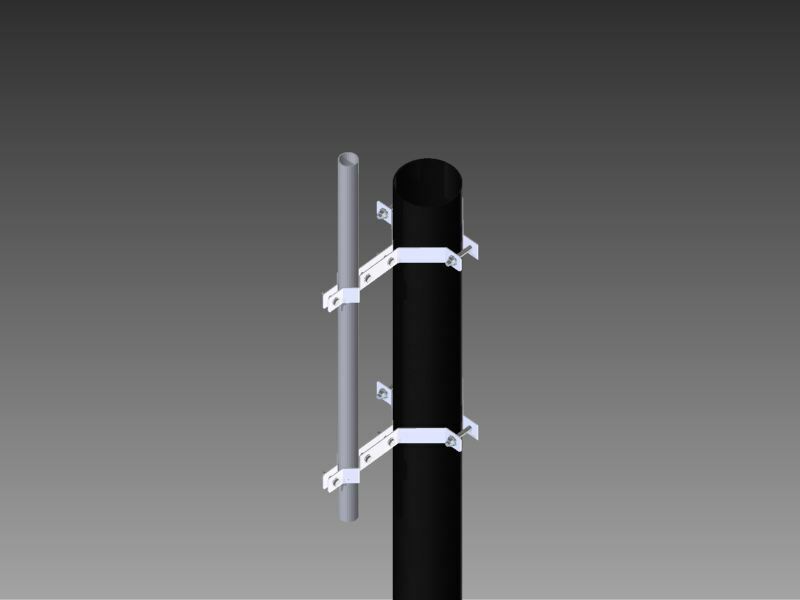 Since we’re dealing with smaller VHF/UHF antennas, the material doesn’t have to be large. For the antenna that we’re building we will be using 3/8″ (.375″/9.5mm) round solid aluminum and 1″ (1.00″/25.4mm) square tubing to mount the elements to. You can also use 1/4″ solid round aluminum instead of the 3/8″ to save a couple of dollars but realize that it’s easier to damage 1/4″ rod. If you decide to go with 1/4″ round please note that the dimensions and calculations you see in this article will NOT work using 1/4″ rod because 3/8″ rod has more surface area for the signal to travel on and all the calculations are made with 3/8″ In mind. You can change it to work with 1/4″ which I will cover later on. Now that we have the material and size in mind that we’ll need, we now need to know what frequency we want to transmit on. Since this is a VHF yagi that we’re building, it will most likely be in the 144-148 range. Are you going to use this antenna for sideband (ssb/usb) only, or both ssb and FM (repeater/general operation)? Reason I ask that is if your designing this to be on sideband only, you will only need it to design it to work best over the span from 144.000Mhz to 144.500Mhz whereas FM would need to be designed over the entire band (144.000mMhz to 148.000Mhz). Since we’re building an antenna for the entire 2m band, we going to use 146.000Mhz as the design frequency since it’s directly center of the band and would allow for a somewhat even performance throughout out the band. Another downfall of the Yagi is that it has a narrow bandwidth.What I mean is that the antenna will work the best over the span anywhere from 100khz to 10mhz depending on the design (Could be more or less). If you start transmitting out of that span, it could create signal loss and high SWR causing the transmitter to step down power to prevent damage (or actually damage older radios). Why build an antenna that is not going to radiate the power going to it? If the antenna is designed and fabricated correctly and you have at least a SWR Meter/Bridge then this should not be an issue. So now we have everything we need to start designing a Yagi-Udi Antenna. Well… How do you design one? This is a fork in the road and there are many different ways you could design one (too many to list). There are different programs for different types of Yagis and there are different mathematical formulas for different (or the same) types of yagis. The method I am going to use is a Antenna modeling (software) program called 4NEC2. This program is based off the Numerical Electromagnetics Code for modeling antennas. The great thing about 4NEC2 is that you can model almost any antenna and the best part is that its FREE! What this software allows you to do is to design/draw an antenna using X,Y,Z Coordinates and then run the antenna through a simulator to see it’s efficiency, SWR, impedance and many other things that I have yet to look at. Basically it will tell you if your antenna is going to work and how well it will work on or near the frequency you designed it for. Another great thing about 4NEC2 is that it will perform adjustments on your antenna to optimize it for the best results. 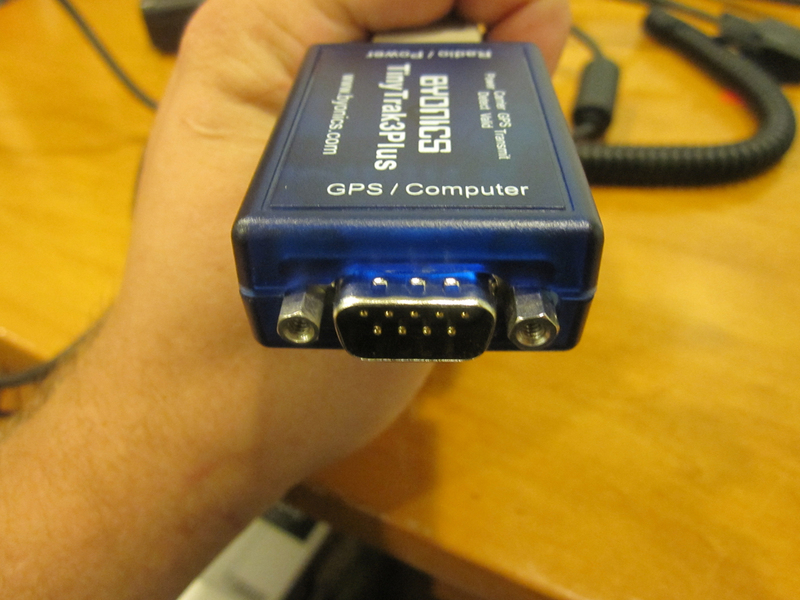 So if you are somewhat close to a good antenna, the software (if the programed right) will make it even closer. This software however is slightly (or very) difficult to use for a new person in the hobby. I adapted to the design portion of the software because I have knowledge in CAD (Computer Aided Drafting), but I had to do a lot of reading about the electrical properties and how to make the software do what I want. I am not going to dive in depth explaining this software. However, I will show you how I used the software to create the antenna. 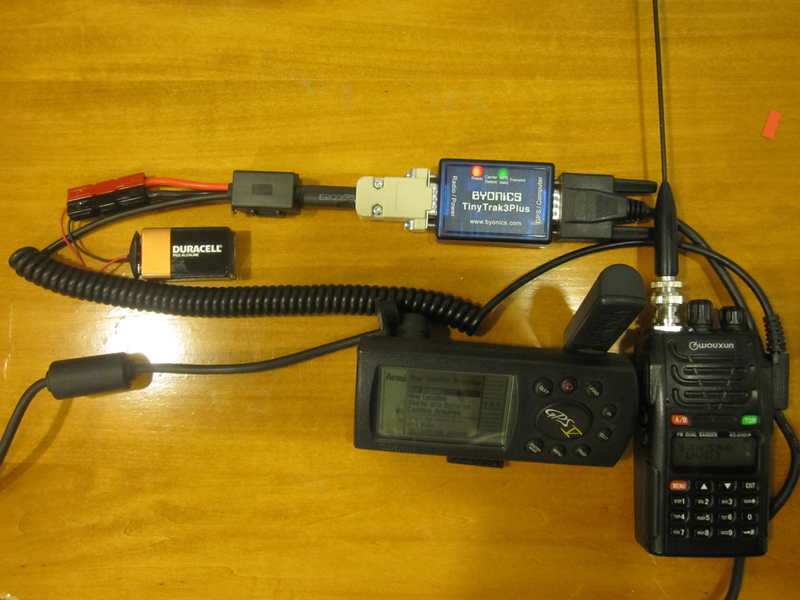 If you find the software to difficult then skip the section and use the final results in building your antenna. 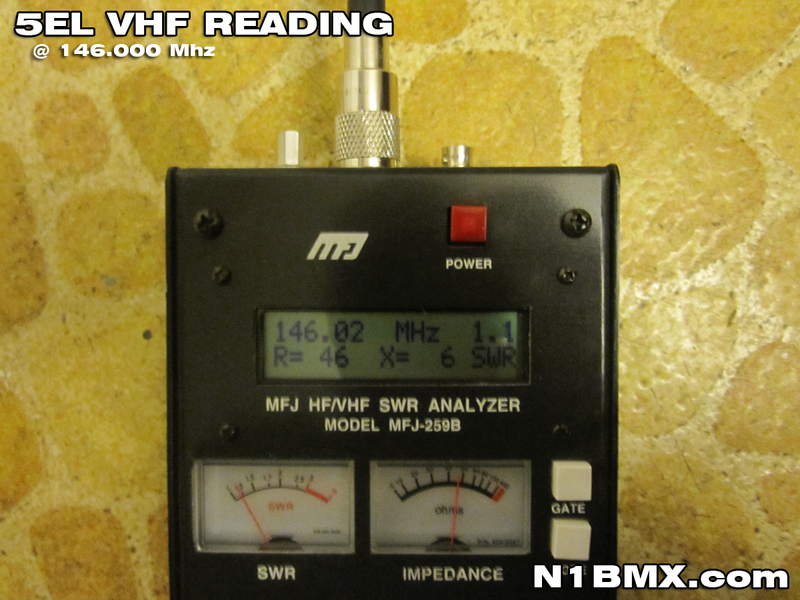 300 (speed of light in meters)/146.000(mhz) = 2.0547 wavelength or(WL) (in meters). This will be used as reference for the following dimensions. Now that we have all the dimensions that will put our Yagi in the “Ball Park” of a good VHF Antenna. The software will end up fine tuning the elements and spacing between elements to obtain the best SWR for the giving variables (i.e Element diameter, Boom length and etc). Open the 4NEC2 and plot the antenna using the dimensions above. At some point in the near future, I will post a video on how I plotted the antenna. If you don’t know how to use 4NEC2 I suggest searching using google for results because that’s how I learned. Please note that using the “Optimization” will give different results what I came up with. So do not get alarmed or worried. If it was done right then there shouldn’t be any issues to the design that the software gave you. DO NOT START CUTTING ANYTHING!! These dimensions will change! Now you should have all the Dimensions (lengths) of the elements and the spacing. Now we need to work on the BOOM. The Boom is the tube that we are going to mount the elements on. At this point we have to decide what material, size and length we’re going to use for the boom and how we’re going to mount the elements. 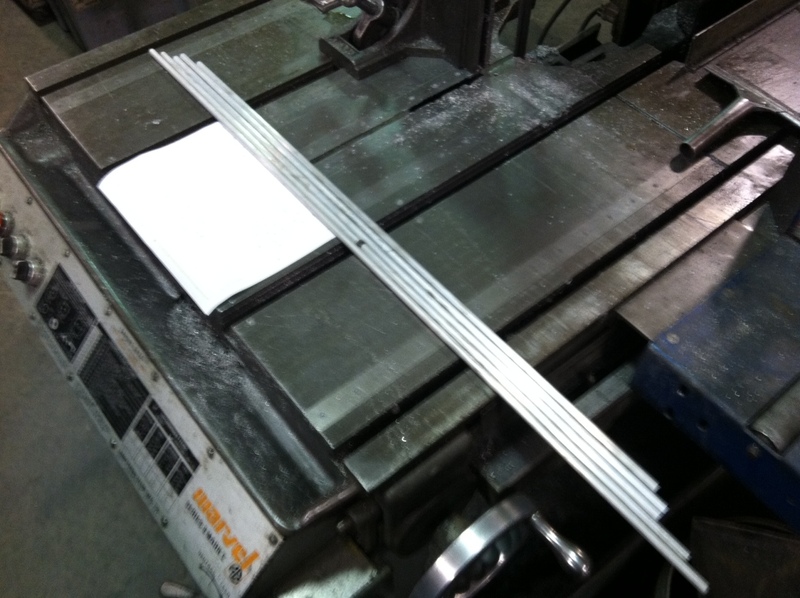 I have decided on 1.000″ square aluminum tubing because it’s commonly used and that it’s easier to work with compared to round tubing. The length that we’re going to need is based on the location of your last (furthest away) director. I also decided to mount the elements by drilling through the boom and using plastic shoulder washers so we can slide the elements through the boom without the elements contacting the boom. At any point we DO NOT WANT THE ELEMENTS TO CONTACT THE BOOM!! Because we’re putting the elements through the boom, the elements will become electrically shorter because of the inductance change. So we would have to increase each element which is called “Boom Correction”. The C equals the correction, and B equals boom diameter in wavelengths. This formula will work on boom diameters smaller than .055 wavelengths (Smaller than 4-1/2″ boom diameter on VHF and smaller than 1.5″ boom diameter on UHF). So let’s dissect this problem to make it easier. To find B we’re going to need the wavelength of the frequency (146Mhz) that were going to use in millimeters. 300/146 = 2.0547 meters or 2054.7 millimeters. We now have to ADD .138″ to EACH element. So our NEW element lengths (in inches) are as follows. At this point we should have all the lengths of the elements, spacing distances from the reflector to each element, boom diameter, boom length and the type of material we’re going to need for fabrication… Right? I would suggest that you google for a local “metal supply” shop. I would avoid the big chain stores (like Home Depot, Lowes) or stores that have every type building material under one roof because the markup on material is very high. I was able to purchase 12ft of sq tubing and 24ft (2 12ft lengths) of rod for around US $30. 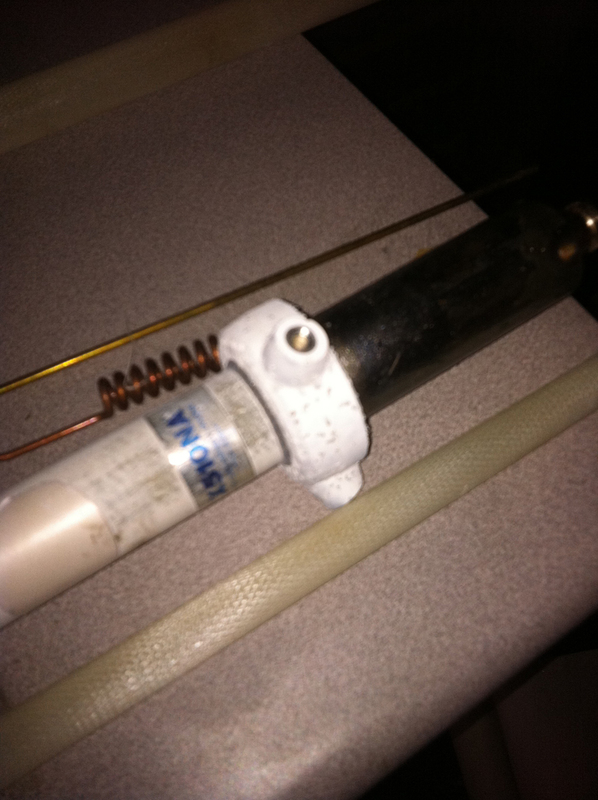 There was enough material to build this antenna and two UHF 3 Element beams. These Items will be a little tricky to get. If you’re in the US, you can go online and order from a company called McMaster Carr. I have the part numbers listed on the blue prints that I’ve used. However when I put the antenna through the ringer (tests), I will see if I have to change the part numbers to something else. I have been considering using plastic rivets instead of shoulder washers because I am afraid that the adhesive (epoxy) will not hold the plastic shoulder washers to the boom. If you get different washers or insulators, The dimensions will differ from what I have on my blue prints, so please change dimensions accordingly. If you do order through McMaster Carr, They will only sell the washers and spacer in packaged amounts. If I recall the small shoulder washer came in a pack of 100pcs, the larger shoulder washers came in a pack of 50pcs and the Spacers came in a pack of 10. It’s great because I ended up making a bunch of antennas w/o having to make an extra order. Anything that you know will bond plastic to metal and will survive the elements (rain, cold, ice, snow, heat, wind). Still a good idea to use even if your using plastic rivets. There are optional things that you buy like Sq caps for the boom and vinyl caps for the ends of the elements for water and safety protection. There is some more paper work to do (Grrrrr). Now that we have all these neat numbers and material, We should at least have some kind of drawing to help us when it comes to actually cutting, drilling and tapping these parts. 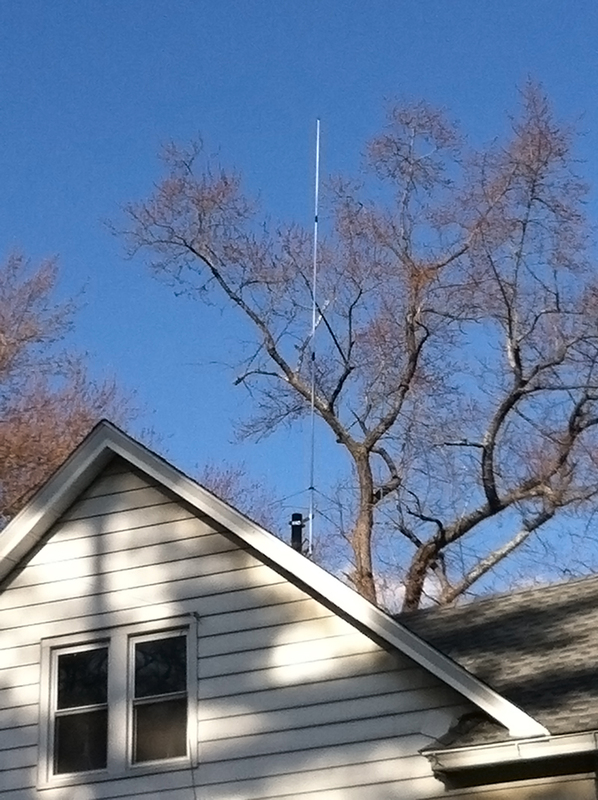 I assume that your building the antenna for one or two reasons which are that you either don’t have enough cash to purchase a commercially made (and tunable) Yagi, or that you actually want to learn how these types of antennas work. So let’s take some more time to layout the antenna so we can have something to use when we’re cutting, drilling and tapping. I am going to use software called “AutoDesk Inventor 2011” which is a 3D design software that is used for CAD (Computer Aided Drafting) purposes. This software will let me make each part in 3D and assemble all the parts to make sure of proper fitment. This software will also let me create Blueprints based on the information I typed into the software. If you can’t get your hands on any type of this software, no worries. You can do the same thing on graph paper. My Results are posted below. Please note that I’ve included all the information that is needed IN the Blueprint for those who just want to download the prints and fabricate w/o reading this article. However the information listed on the prints (other than the dimensions) have only basic information for experienced fabricators/ antenna builders. Now that we have all the dimensions and a print, LETS GET FABRICATING! * – For those who don’t have .750″ drill bit, depending on where you live, a 3/4″ Drill bit can get expensive. I would suggest either a step bit (still expensive) or a 3/4″ countersink (at 82 degrees). Drill the specified hole up to the biggest bit and then finish it off with the 3/4″ countersink. Since it’s aluminum, it will not damage the countersink and you will be able to counter sinks holes on other projects (DO NOT COUNTERSINK HOLES ON THIS PROJECT! Lets start off by cutting all the aluminum rods (elements) and tubing (boom) to the correct lengths by using the tape measure. 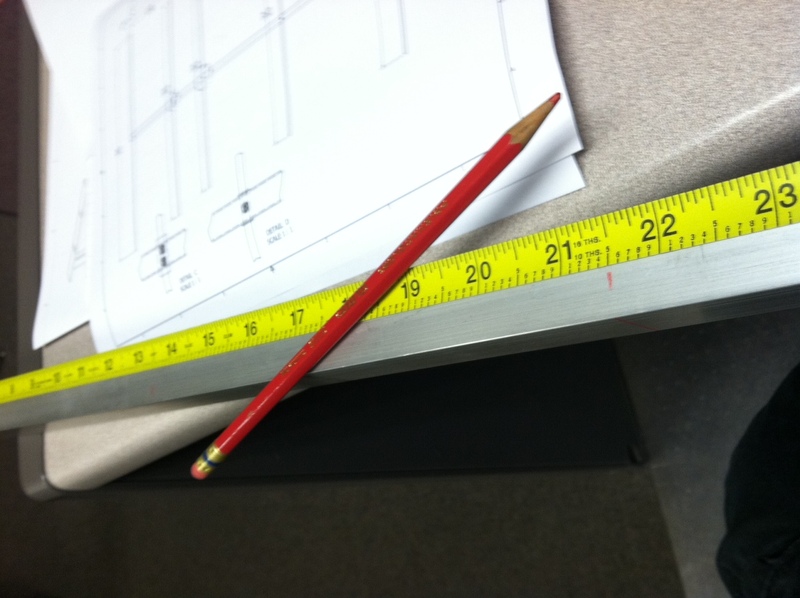 The blueprint posted in this article shows both decimal and fraction to the nearest 32nd of an inch. I used a red pencil to mark the location along the boom. Then I marked the center of each location using a pair of verniers and used a marker to make the center point more visible. When marking the elements it’s a good idea to mark the center point twice. Once from each end so you know that your exactly on center of the element. 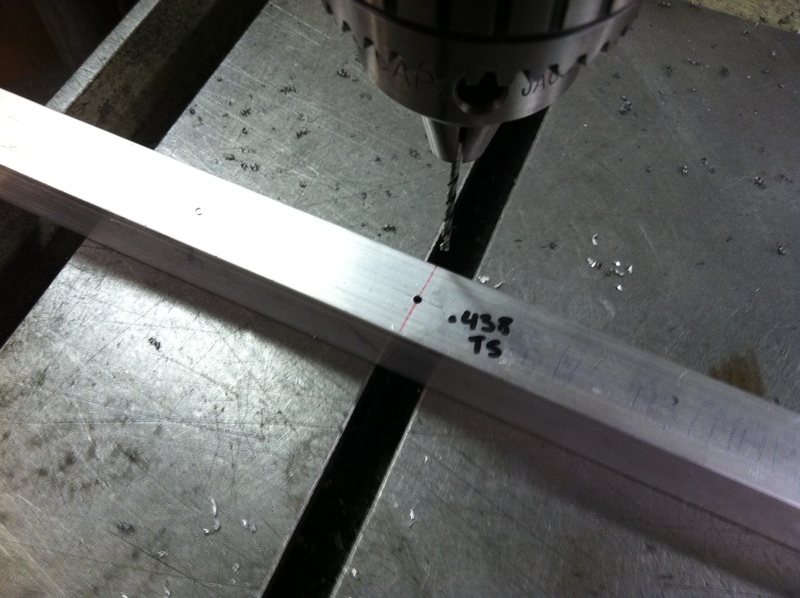 With the driven elements, you just need to place a mark at 3/16″ in from only one edge. 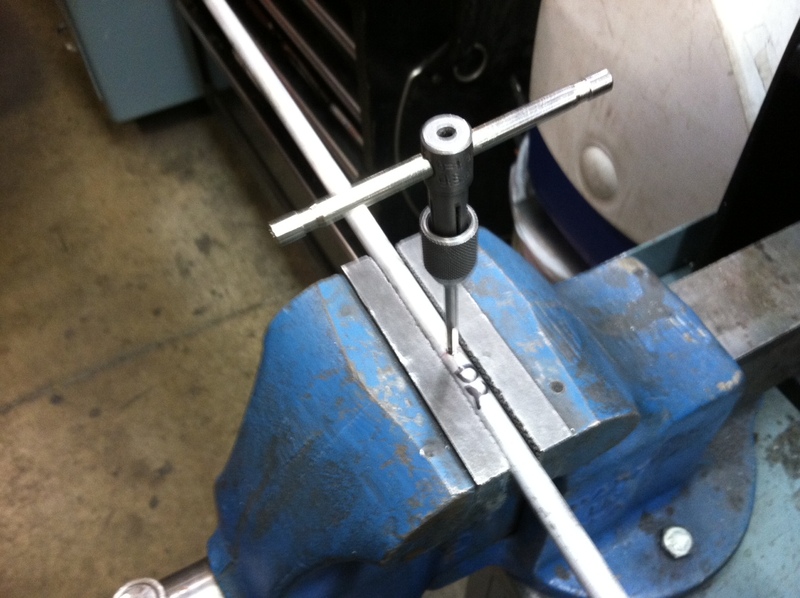 Using a drill or drill press with a small (>.125″) drill bit. Drill pilot holes on every center mark on the boom. DO NOT DRILL THROUGH THE BOOM! Only drill through the side you marked unless your using a bridge port mill that has a perfect 90 degree head. Also drill pilot holes at the marks of each element. Once again, DO NOT DRILL THROUGH THE ELEMENT! You will only want to drill half way through the element. A bit of advice is to measure from the tip of the drill bit 1/4″ up and use the edge of some masking tape to tell you where to stop when drilling. If you feel un-easy about drilling the element, you should have a couple of inches of scrap rod that you can test both drilling and tapping on. After drilling the pilot holes, time to open the holes according the blue print. With the elements, I suggest using a .120″ (or #31) drill bit as the element could wobble causing the hole to open up a little more. With the boom I would start with opening the holes where the elements slide through first! 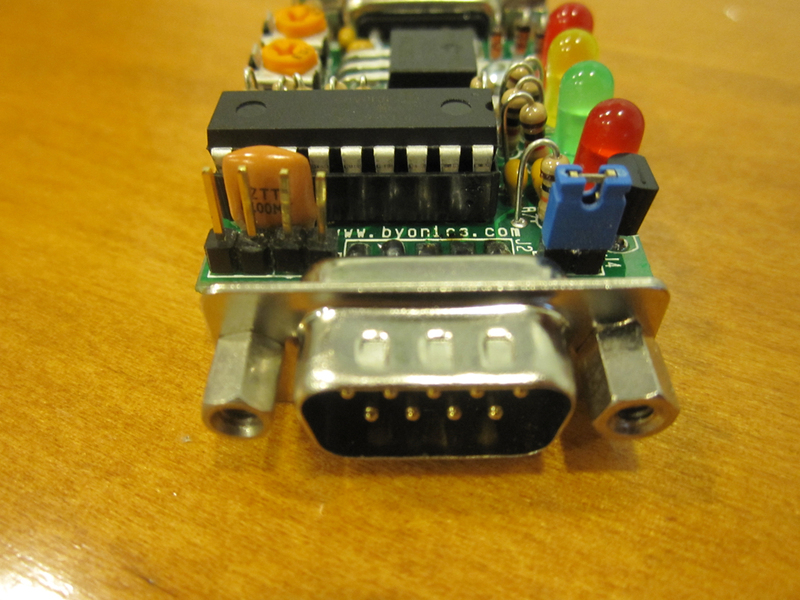 Then switch to the 3/4″ bit and open up the holes where the driven element slides through. Switch back to the pilot drill bit, insert the plastic spacer that will hold the driven elements and using the two holes on the top of the boom as guides and drill halfway through the plastic spacer. Then open the rest of the holes to the correct size. 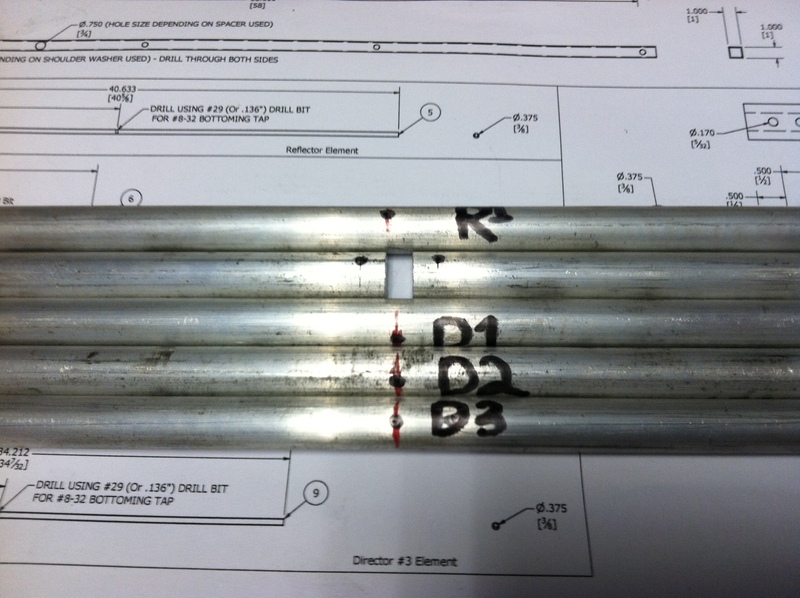 The next step is to tap each element with a #8-32 bottoming tap. If you can get your hands on a bottoming tap, you can take a regular tap and break the head off it and grind/file it flat. This photo shows a element being tapped. Try to make sure your tap is 90 degree and straight. After everything is cut and drilled and tapped to size. It’s time for assembly. Assembly is pretty stright foward. Glue/Epoxy all shoulder washers/rivets into place and let dry. The driven elements are going to slide into the plastic round spacer. Make sure that each side of the driven elements does not come in contact with each other. 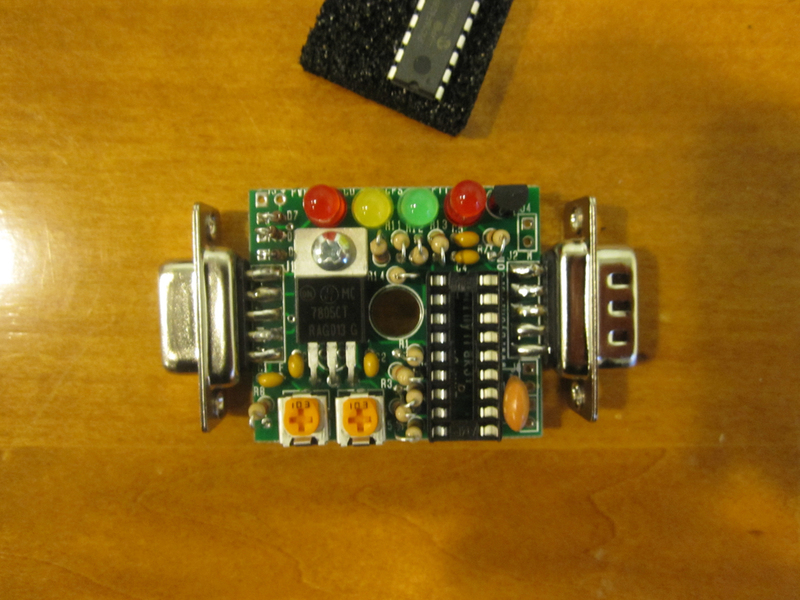 Then slide in the reflector and directors and secure them with the 6-32 screws. When finished I placed more epoxy around the elements (NOT THE DRIVEN ELEMENT) at the point where they meet the boom. 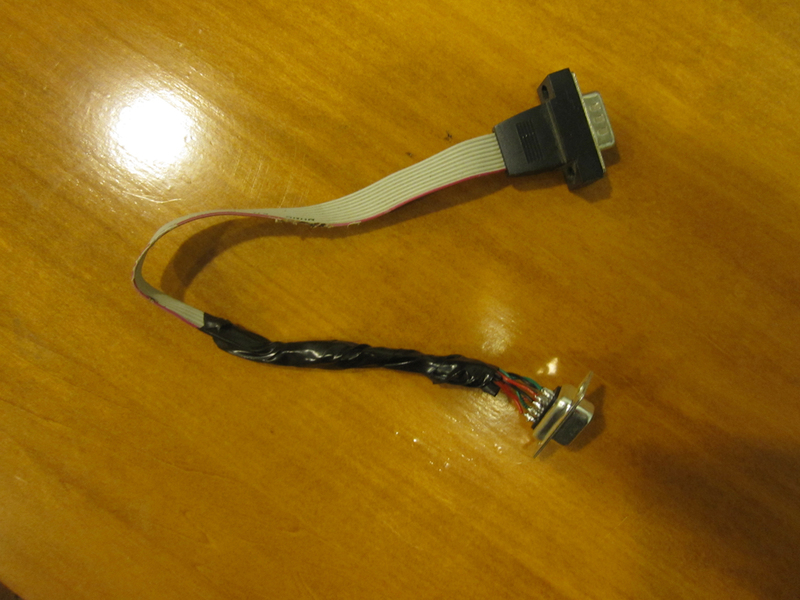 I did this because I don’t plan on taking apart the antenna. Attache your coax to the driven element making sure you don’t have the connections contacting the boom. Here are some reading I’ve taken with a analyzer that I borrowed. 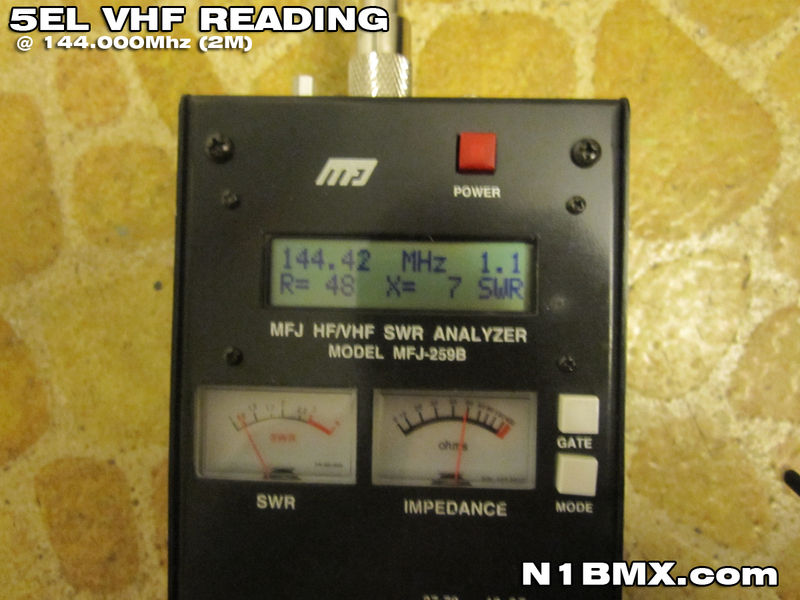 At 144.42Mhz, I got a 1:1 SWR with an Impedance of 48ohm. 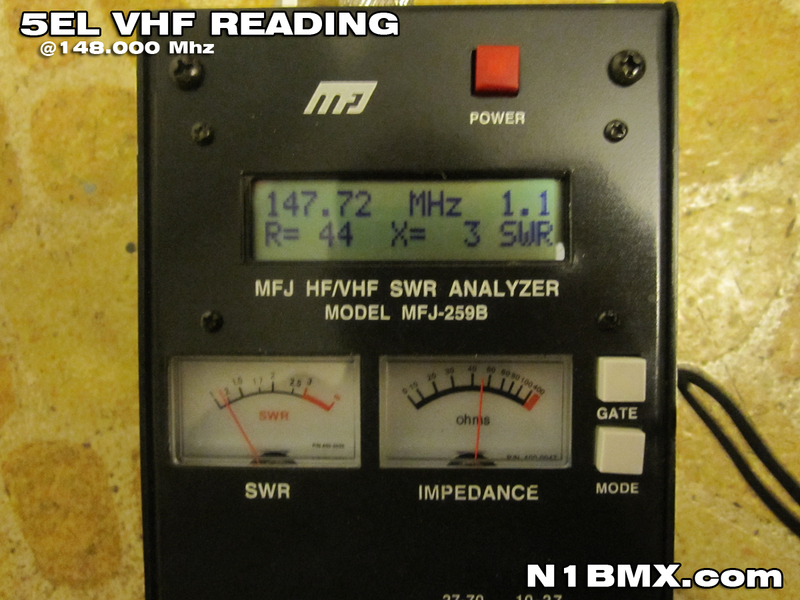 These readings were taken in my house with the antenna mounted to a wood broom stick. When I got the antenna into the attic I took another set of readings before I gave the meter back and I saw that a slight change on the values. Can’t wait to get it outside. If you plan on making your own Yagi, please take ALL SAFETY considerations into effect. Know and respect all the tools you are using and when it comes to installing your Yagi, make sure the antenna with not come in contact with any utility lines. If you are using the plans from this page, please note that your results may/will vary from what I’ve made. Since I’m new to antenna making, I would not want you to risk any material/money. Please confirm your findings with someone who does know before purchasing or building. These are just my notes on what I did to create an antenna. Guy Fletcher (VK2KU). 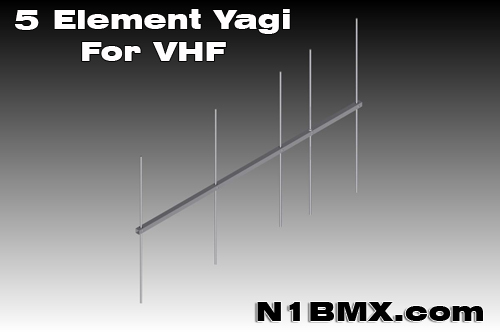 “Effects of Boom and Element Diameters on Yagi Element Lengths at 144, 432 and1296 MHz”. ARRL QEX Magazine (Jan/Feb 2000). This weekend I worked up the courage and installed my Diamond X510 on my roof. It wasn’t easy due to the pitch of my roof and lack of any safety gear and also making sure the ladder was secured to the house. I don’t picture myself climbing up onto that roof again. In the above picture I designed and fabricated my own mounting straps to mount the antenna to the cast iron vent pipe. All the hardware used in the installation was made out of stainless. I didn’t want a nice trail of rust running down my roof. Other than the anxiety of climbing onto my roof , It was fun. I couldn’t wait to get back into the house, run the RG213 through the wall and start transmitting. Using Diamonds radiation pattern on the antenna I calculated the coverage of my antenna. I think it calculated a little too much but it’s pretty close. From moving my antenna from 5ft off the ground to the top of my house using low loss cable and Type-N connectors, I see a major difference and wondered why I never bought a commercially built antenna. 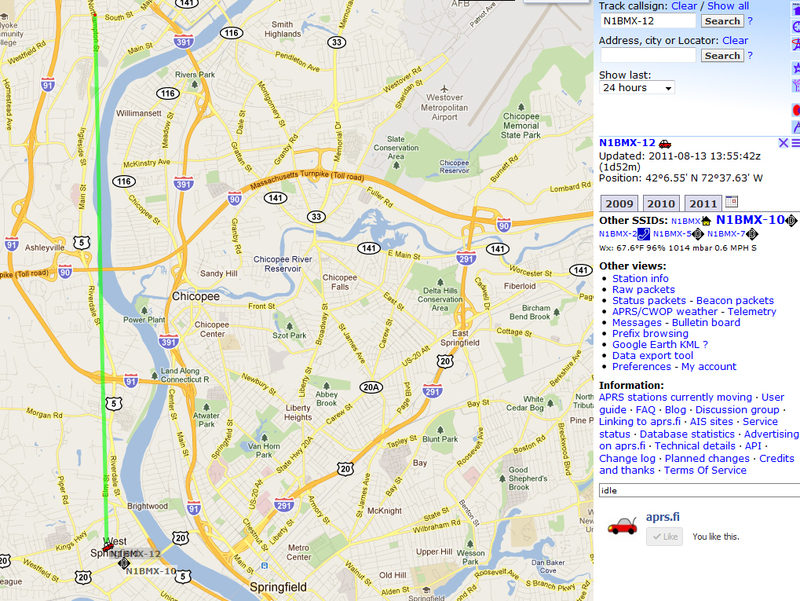 I notice that I can now hit stations further north from my QTH. before I couldn’t get past 10mi north. Now I can hit the W1UWS repeater on top of Mt. 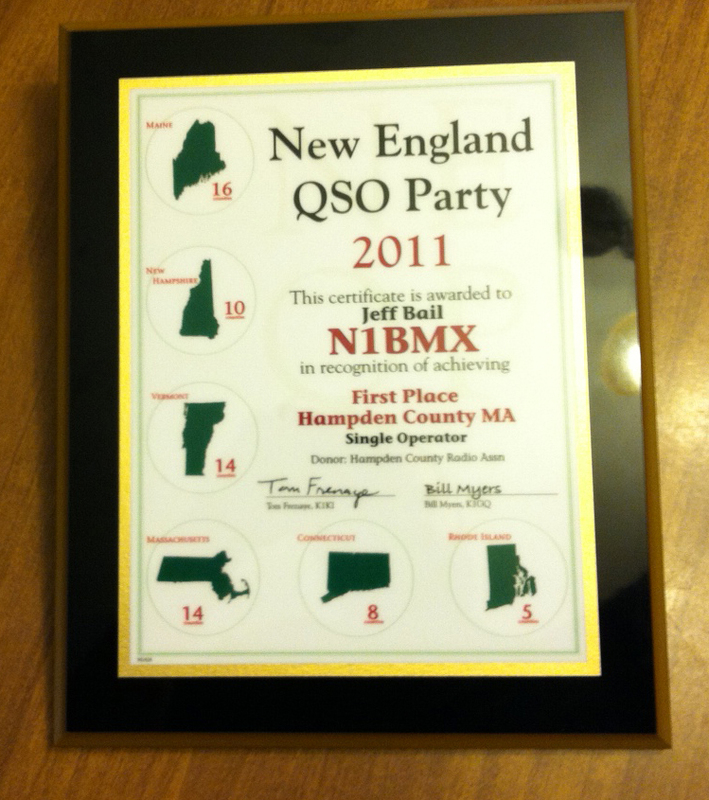 Ascutney in Ascutney VT (100mi north of my QTH) and I could now hit Mt. 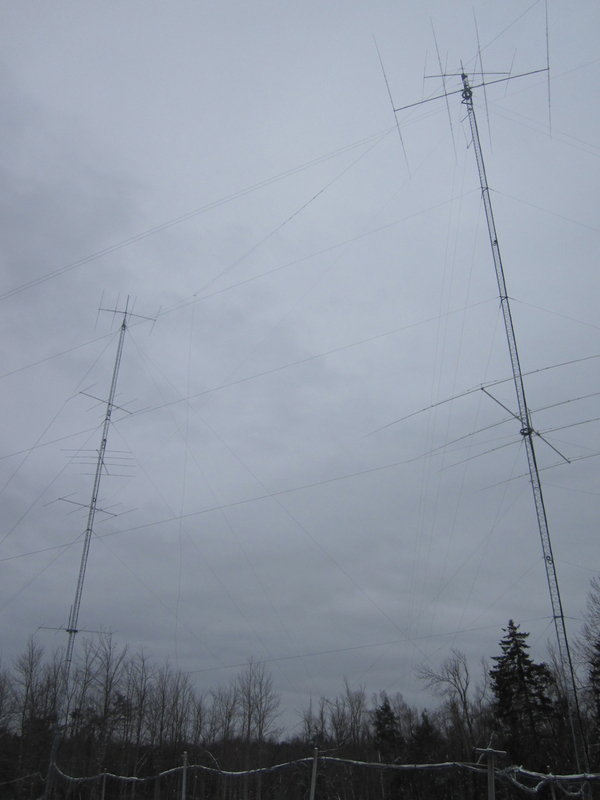 Graylock in N. Adams MA (60mi Northwest of my QTH) and many repeaters in the Berkshires. 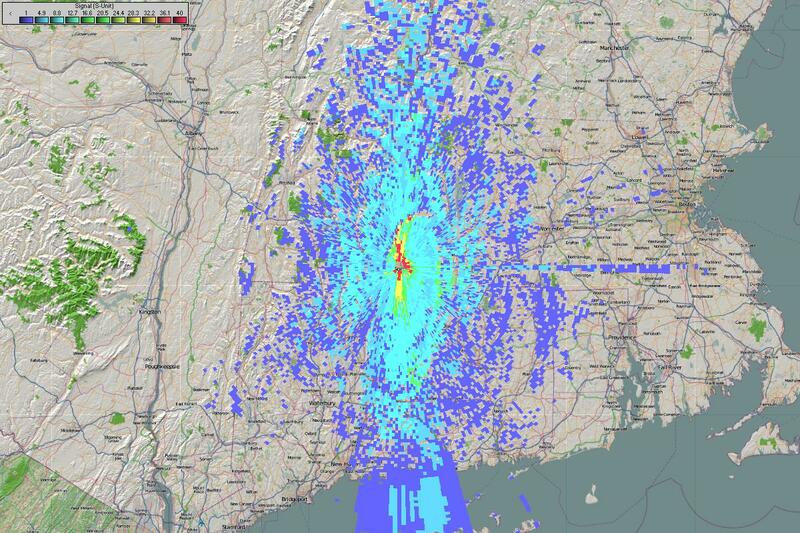 In the south direction I can now get repeaters in Litchfield and Hartford Counties in CT. Compared to the J-Poles I can now contact 40 additional 2m repeaters. So overall I am extremely pleased of the results. Now to get the Butternut Installed. Last week I managed to get a Diamond X510NA antenna for free! The only issue was that I had to go and retrieve the antenna off the roof and also remove another antenna which I also got to keep. Not sure what the other antenna is but my focus is on the Diamond X510NA. This is my first “Commercial” VHF/UHF antenna. All my previous antennas were home brews which performed just great. In this closeup you can see the minor issues that nature caused. I was determined to get this antenna looking and performing like it was new. So I went to the hardware store to look for plastic spray paint and rubber foam strips for sealing joints around doors to keep drafts at bay. Here is a photo with the Rubber foam stripping rolled around where the old foam was. 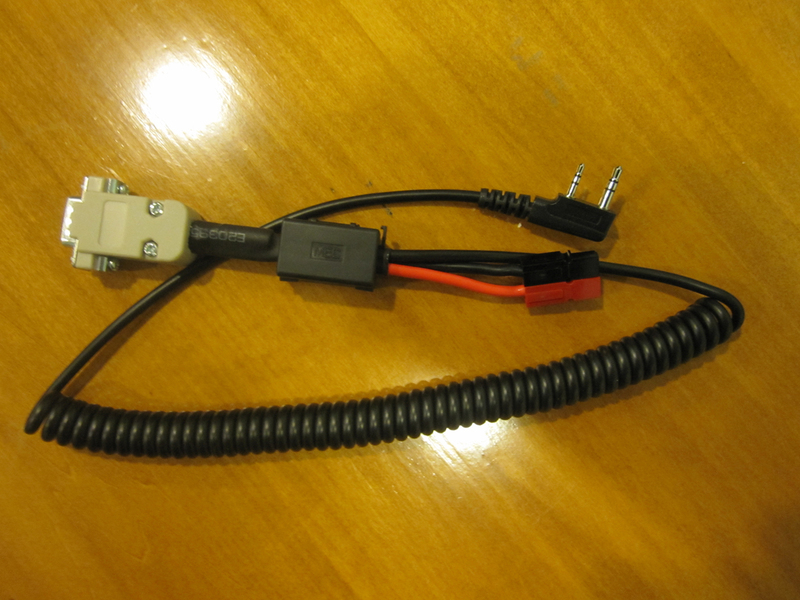 I am doing this to prevent the actual antenna from rattling around inside the tubing. I designed a bracket to use for the roof installation. The straps will be made out of 14ga (.074″) stainless and I already acquired a 1.25″ I.D. galvanized pipe and had it powder coated white to match the rest of the antenna. I don’t want any rust up there. 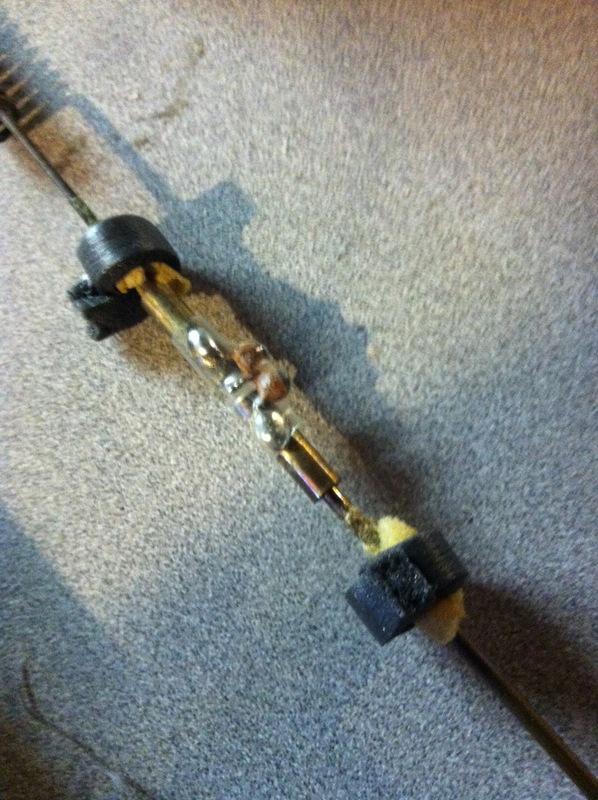 Here is the finished antenna. 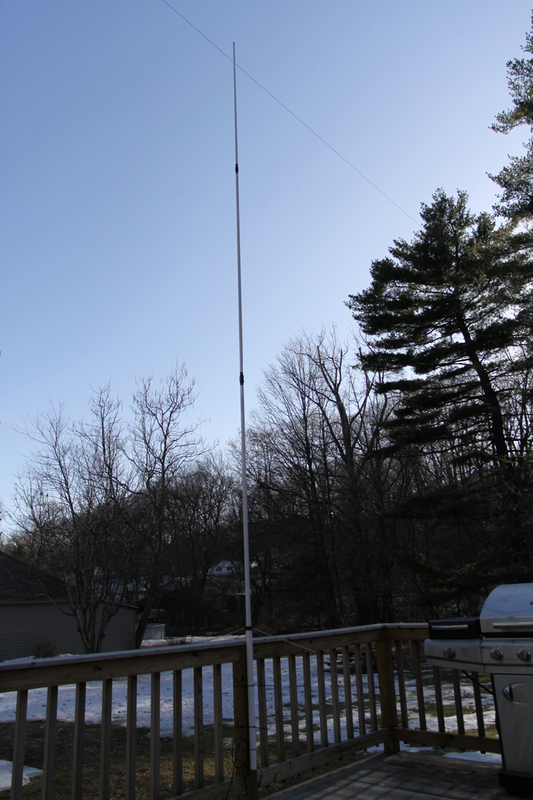 I mounted it to the deck with zip-ties to make sure the antenna works before going onto the roof. tape that will make a watertight seal. I also used “Undercoat” rubberized spray where the radials are mounted to prevent any more corrosion to the base. There is a night and day difference compared to my home made antennas. Even though it’s 5ft off the ground and the huge aluminum siding wall right next to it, I am hitting repeaters that I never could hit before. Can’t wait to get this up on the roof.